The NeoPod universal adapter is designed for sling swivel studs mounted on the underside of the forearm. It works equally well with US 8mm studs and European 6mm studs. 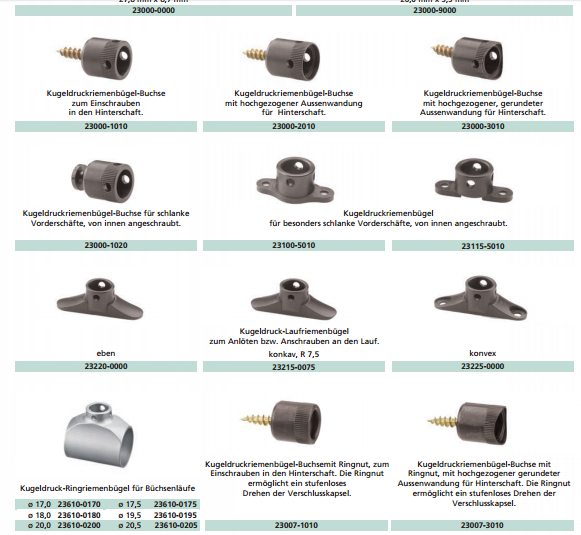 Shown above are GrovTec sling swivel studs. There is no NeoPod adapter for this kind of stock. Not for want of trying. 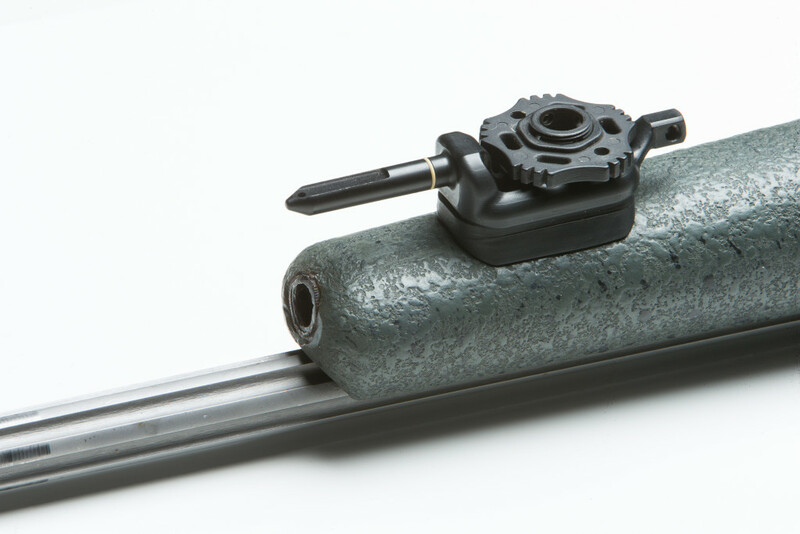 We have experiented with various designs but find it impossible to align the spigot with the barrel. 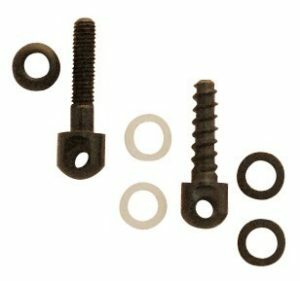 This is due to the tiny variations in the tip geometry between individual guns and the different mounting spots and angles of the stud screw. To mount a NeoPod in a case like this you have to either install a sling stud swivel or flush cup under the forearm. We recommend a flush cup as this looks better and is less obtrusive than a protuding stud when the bipod is not in use. 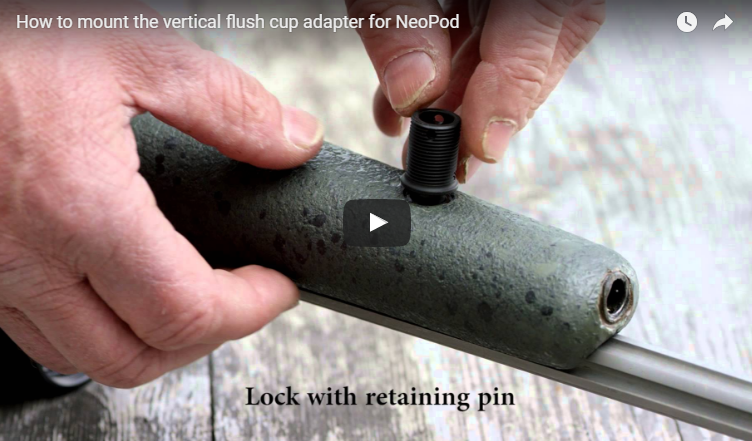 This the flush cup stud adapter set, SKU010, for the NeoPod. Click on the image below to see how it works.